The TVC Swing Walker Massager is programmed to serve multi-functional solutions to combat various types of pain and uneasiness in your leg. The vibratory motion that serves a massage to your calf, leg or elbow increases your blood circulation. This increases the supply of oxygen to all parts of your body which leads to improving the functions of your internal organs. The massage also corrects certain spinal misalignments and reinforces healthy sleep patterns. In addition to these functions, the vibratory motion also works to activate your body cells, dissolving your fatty acids and eventually burning calories just like your work out sessions. 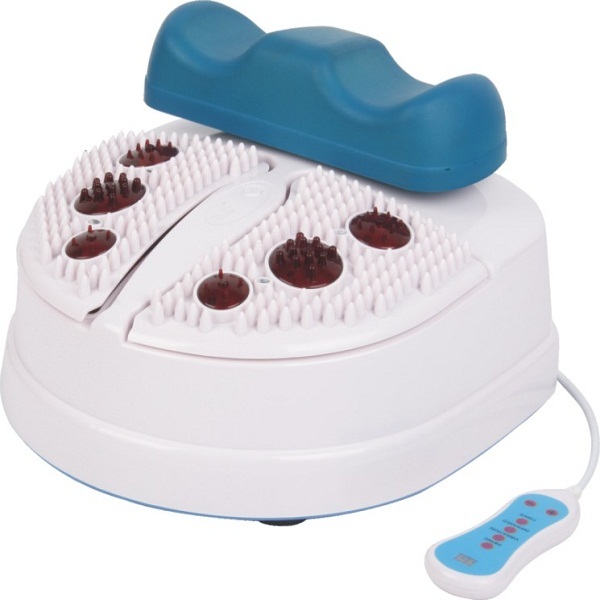 The massager thus, helps in reducing your overall body weight giving you a renewed figure. This TVC swing walker massager also incorporates a speed control feature. This speed control feature enables you to set six speed modes according to the desired intensity of your massage or exercise. Powered by electricity, this Swing walker massager functions soundly.